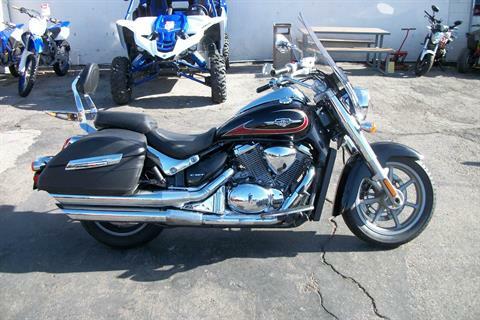 Used Suzuki Motorcycles Touring Inventory For Sale | Simi Valley Cycles in Simi Valley, CA. Simi Valley Cycles has a huge selection of used motorcycles. We have been selling used motorcycles for over 30 years. At Simi Valley Cycles all our motorcycles are thoroughly checked by our factory-certified technicians. We offer Financing and Service Contracts on most models. Trade-ins are welcome on new and used bikes. Give Simi Valley Cycles a call at 805-522-3434 or stop by our spacious showroom today! All of our used motorcycles for sale are pre-inspected before and after they are sold. If you are in the market for a used motorcycle then look no further. You might be looking for a bike you can throw around, and get used too and not worry about getting a few scratches. Or you may be looking for a used motorcycle because of your current budget. Major benefits in purchasing a used motorcycle are not hard to discover. The gas mileage on motorcycles is considerably greater then most cars. So you may want to consider a motorcycle forsomething to commute on. Traffic is another major player, which would be another great reason to purchase a used motorcycle. It is incredibly easy to get around town through traffic on a bike. We also take trades, and buy used motorcycles as well. Maybe you may have had your bike for two years, and are looking for something more sporty, or on the other hand looking for something more relaxing that you can cruise on. Trading in your used motorcycle is a great option to save money when purchasing a new bike.